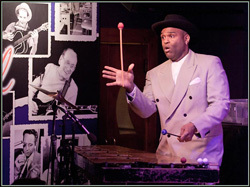 Who Else Wants to Learn to Play Vibraphone? 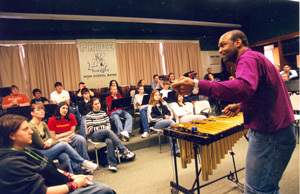 Do you want to learn to play the Vibraphone or the Xylophone? Want to bypass expensive lessons from boring teachers? What if you could learn from the comfort of your own home, how to build your technique and play all your favorite songs? I know that's a bold claim, but if you take 5 minutes to read this letter, I'll show you why this is VERY real. 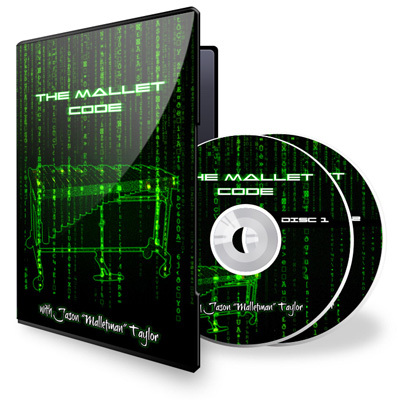 Introducing The Mallet Code the debut instructional DVD set from Jason "Malletman" Taylor. To Teach You How to Play? 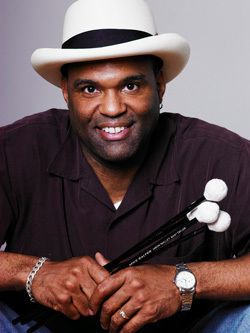 Malletman is a jazz recording artist and 5-time Grammy ballot nominee and he's here to share his explosive fresh approach to making music and learning the Vibraphone. 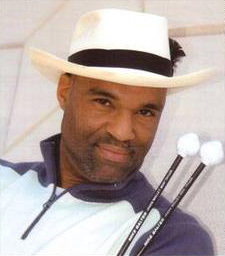 He's performed many times on television and all over the world, opening up for some of the biggest names in Music like Earth, Wind & Fire or Tito Puente, Jr. I could go on and on about his credentials, but this letter is about YOU. 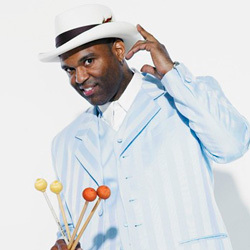 I want you to start having fun immediately playing the Vibraphone. First you need technique. 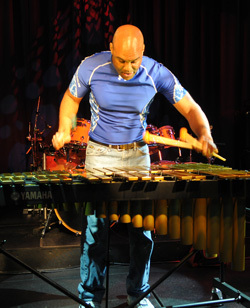 Fortunately, Vibraphone technique is NOT complicated. You'll learn everything you need to know -- how to stand, where to stand, how to hold the mallets, how to strike the bars, and so on. Just a few secrets will make it 10 times easier and then you're on your way! 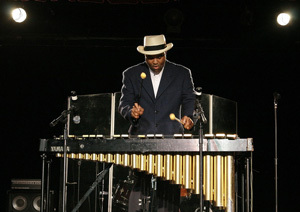 The vibraphone is both a percussive instrument and a melodic one. So, in addition to knowing the technique, you should know a bit about music theory...Nothing fancy... No rocket science. Just a few basic scales and chords and you're good to go. Now that you know how and what to play, you can start playing songs -- either with other musicians, or solo. 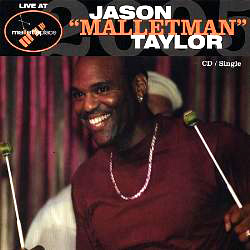 You'll be shocked and amazed how full a sound you can create with just a set of bars and two mallets. 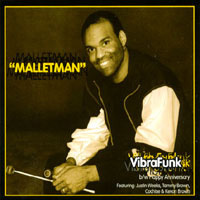 The right way to stand, the right distance, position, how to hold the mallets, all the essential technique is clearly explained at 19:59. Massive revelation: The secret of coordination is explained at 22:36. The Key to Endurance... Revealed! Plus, why and how to use the Damper pedal, and how to properly adjust the wing-nuts so you feel most comfortable. Let Me Show You Some Epic Patterns. That's right -- once you learn a few core basics, the entire instrument will open up to you. Ideas will start coming out of the woodwork and presenting themselves to you... And that's when the magic really happens because you'll start having some major FUN! 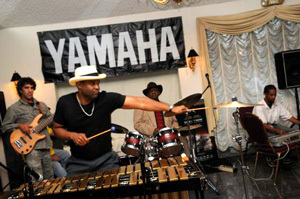 Triplets are another essential rudiment. You'll easily master these too. See 16:02. Wanna Learn the Secret of Improvisation? Well guess what? That's what you're about to discover. You just need to apply a little bit of music theory. Don't worry it's all clearly explained on these DVDs. Just add a drop of this magic and you'll be having a real good time. And there's a lot more secrets and magic that I didn't have time to go into here. I've never seen a more entertaining instructor deliver the nuts and bolts of an instrument so powerfully. You'll be up and running with the Vibraphone in no time, I guarantee it. We're offering a generous 12 month guarantee on this DVD course... So, if for some strange reason, you're NOT thrilled with your progress or unsatisfied for any reason (or even no reason) then just send us the DVDs back and we'll give you a prompt refund. No hassle, no run-around, and no hard feelings. This an amazing opportunity to invest in yourself and your musical education. You can own this amazing set of 2 DVDs for just $69 $49. All you have to do is click to the next page, fill out your information and I'll rush your order right to your door, anywhere in the world. It's a no-brainer decision, so please click on the link below and you'll soon be the proud owner of The Mallet Code that will reward you for a lifetime. P.S. Don't forget, you're protected by our 365-day 100% money-back guarantee so there's nothing to lose and lots of fun to gain.